One of the kind wide ankle boots with real wool inside. Light, flexible, wool lined, ortho best snow boots. Type of snow boot that every child needs. Boots are not clunky, chunky - ortho sole fitted for proper foot alignment. Only snow boots from Europe are true quality. They shape children feet so only best for your child. 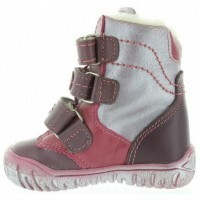 Avoid heavy snow boots from China, that is garbage, over time deforms kids feet. 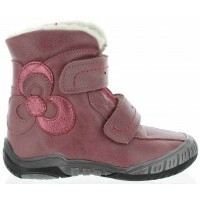 Bought these for my toddler girl, absolutely lovely boots inside & out, very warm, thank you KINGA! Work of art! - I love those boots...beautiful color and quality is top notch. I got them as a Christmas gift from grandma so they are special. The wool inside is wonderful and they are very light and flexible. Stunning shoes and made in EU for sure. I get constantly asked where I bought them because they stand out from every outfit. 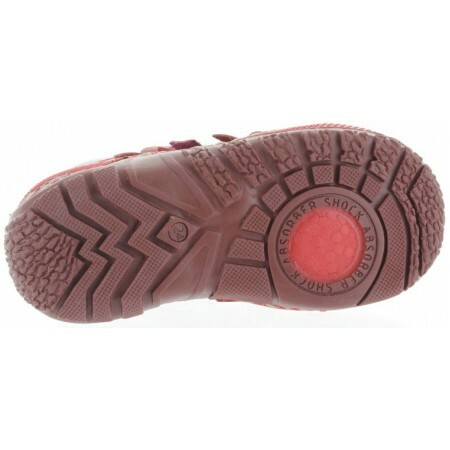 They are waterproof as well and we tested them in a snow already, they passed with flying colors. This is the most beautiful, stylish boot that I ever got for winter. BEAUTIFUL! Soft, well profiled soles and that wool inside is real sheep! It is impossible to find such quality anymore, even on-line. I bought quite many shoes from that store and all of them wore very well. I always end up buying some unknown to me brand and they were always great and quality. This boot is like work of art and warm and functional and that is why I think is worth the price. They are also orthopedic as all the European shoes are and that is why my daughter has well profiled feet and she walks straight without her toes pointing in or collapsed ankles. I am just amazed when I see how kids walk locally on the playgrounds and those moms do not see that kids display serious feet problems. Later that translates into posture problems. Well, spent the money on quality shoes for your kid so later in adulthood they can have well developed feet and straight back. Adorable and very light snow boots for your girl.Flexible soled best baby boots with wool inside Boots with arch support and wide toe box girls. 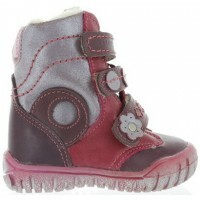 Made out of the best quality smooth lamb leather decorated with pink flower. Close with a side triple velcr..